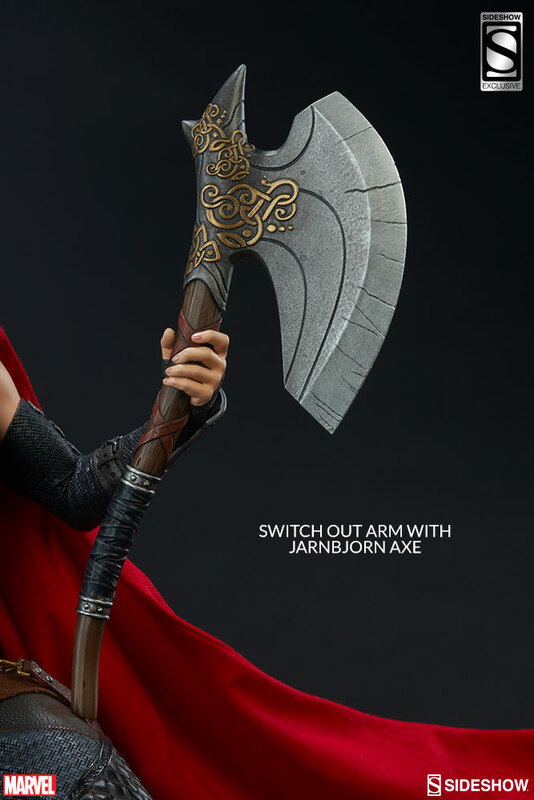 Jane Foster has been deemed worthy of wielding the hammer Mjolnir! 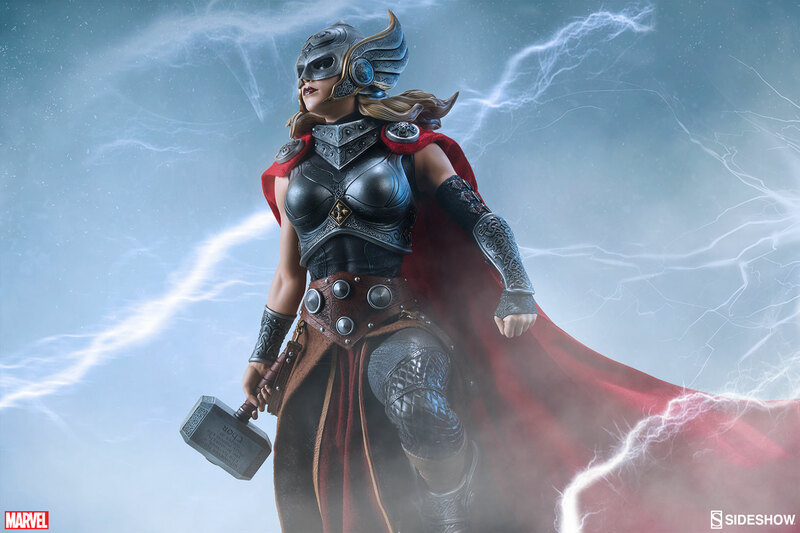 Taking the mantle of Thor and becoming The Goddess of Thunder! 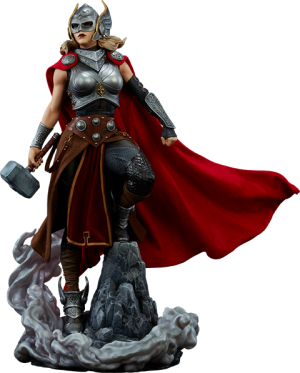 This newest incarnation of the fabled Asgardian legend caused a lot of excitement among fans, reviewers, and the press when unveiled in 2015. 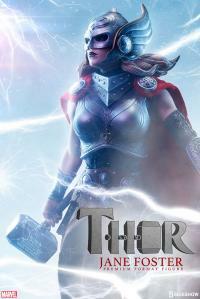 Jane Foster’s compassion and sheer humanity, combined with the awesome powers of the Thunder God created an all new Thor for a whole new generation of fans. 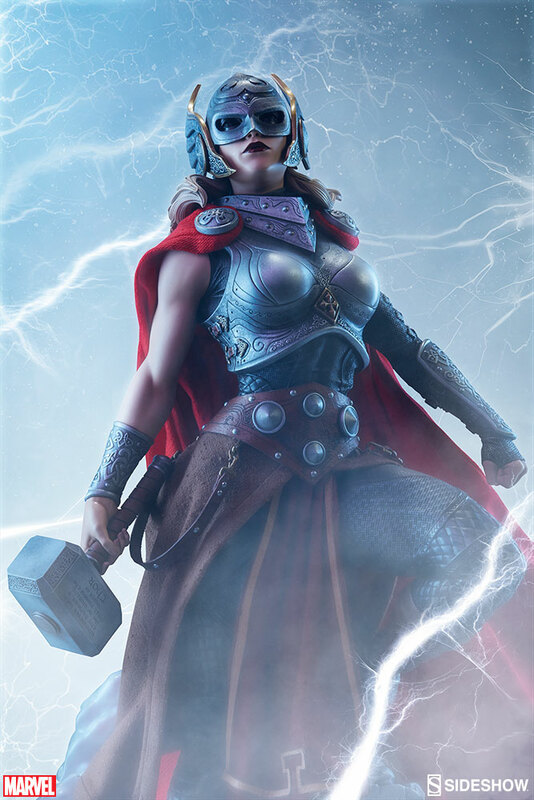 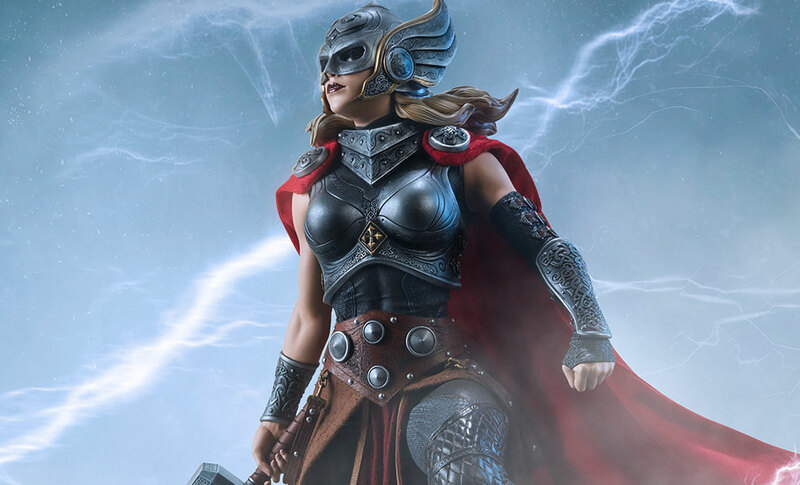 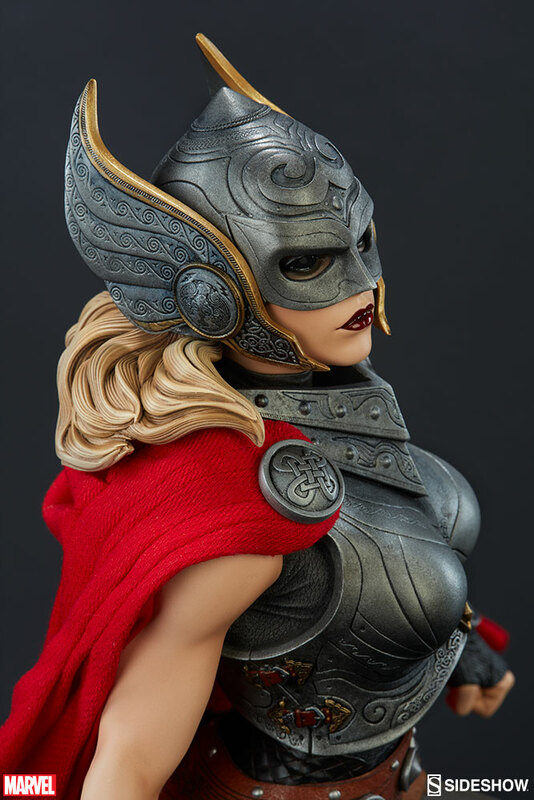 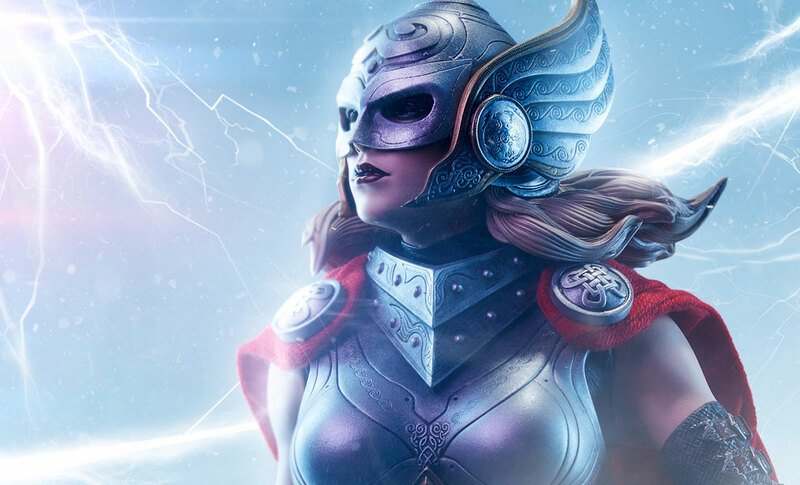 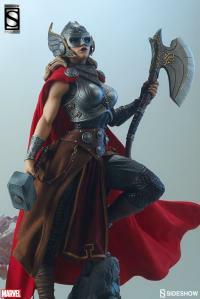 We love the Goddess of Thunder, and it is with great pleasure that we can unveil not only this exquisite new Premium Format™ Figure but an original Premium Art Print inspired by this groundbreaking character. 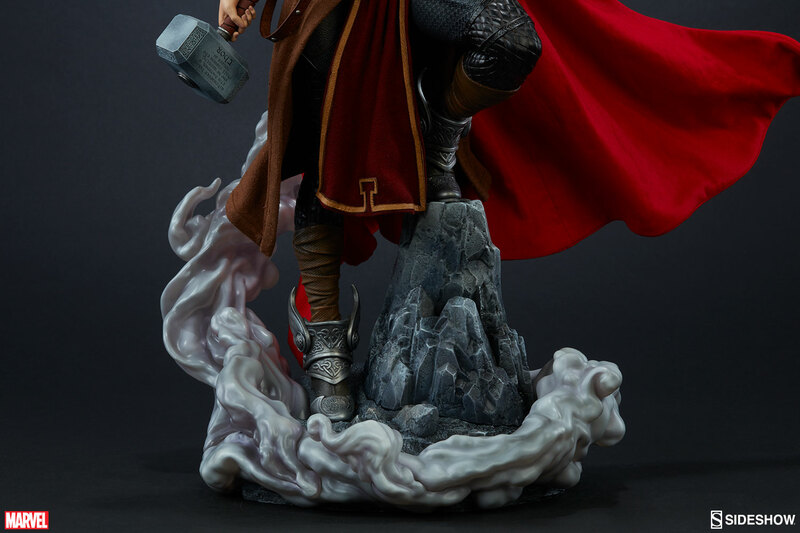 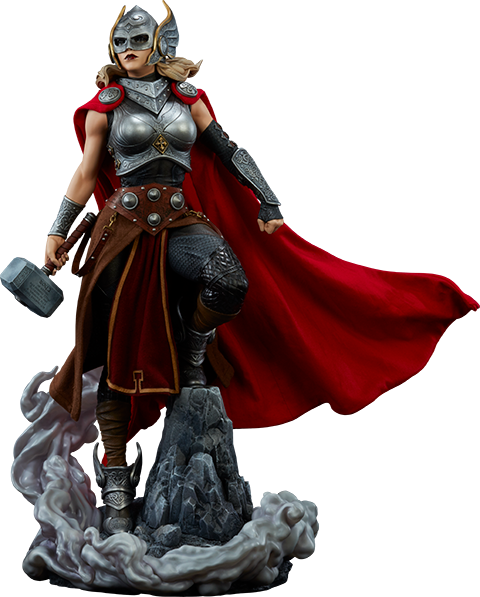 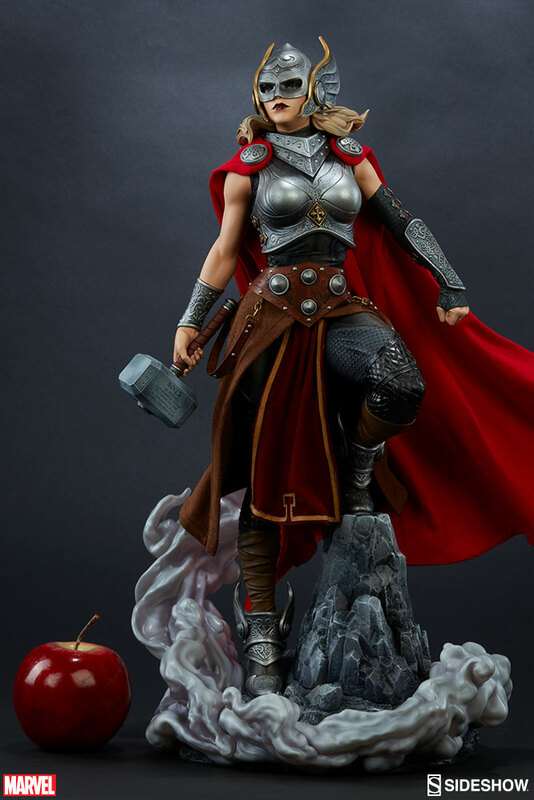 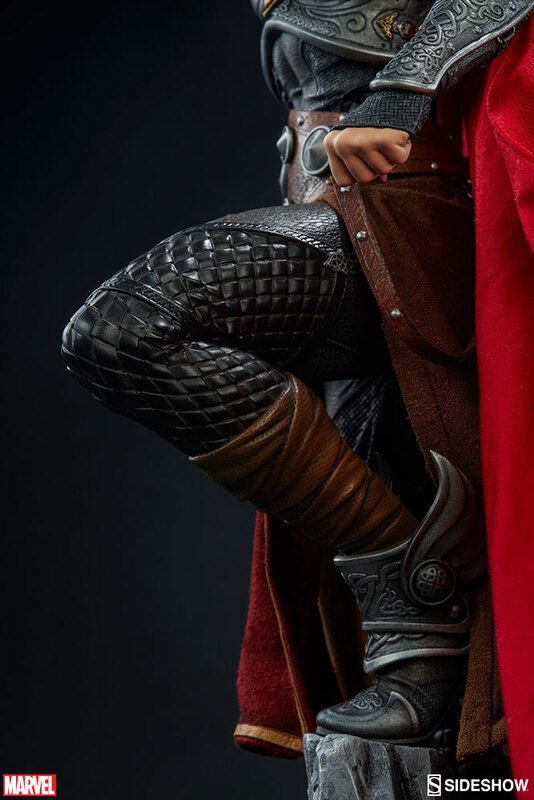 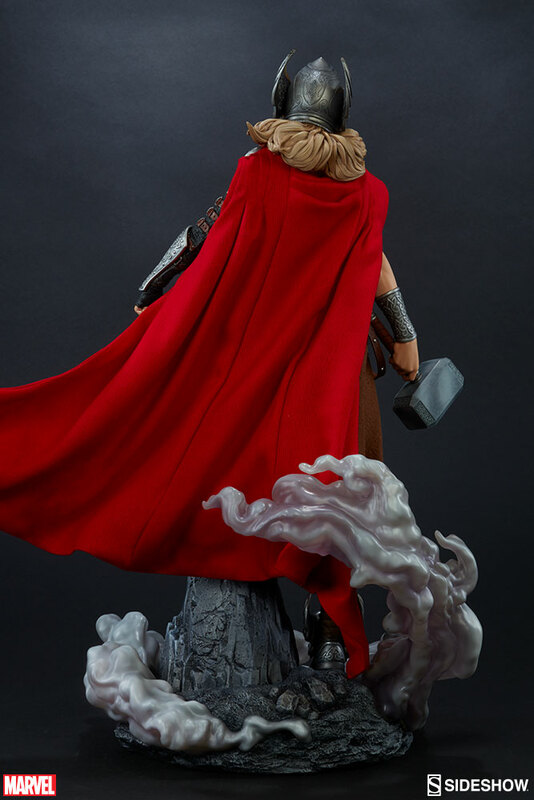 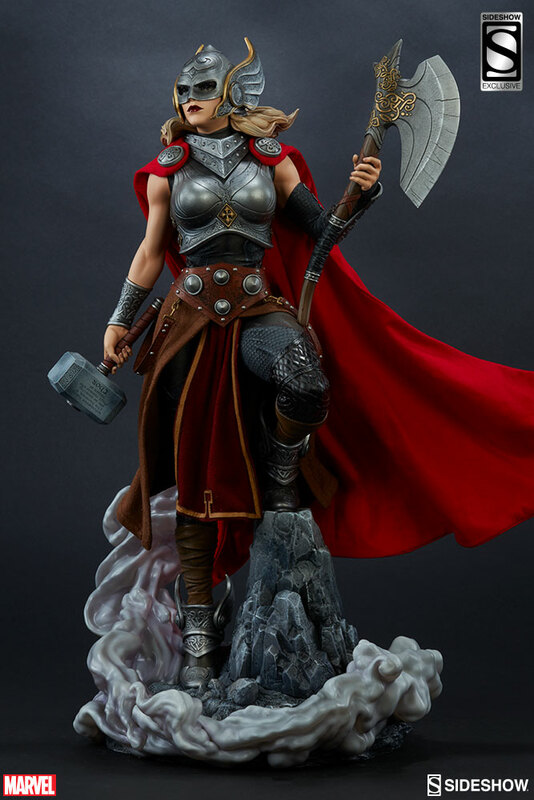 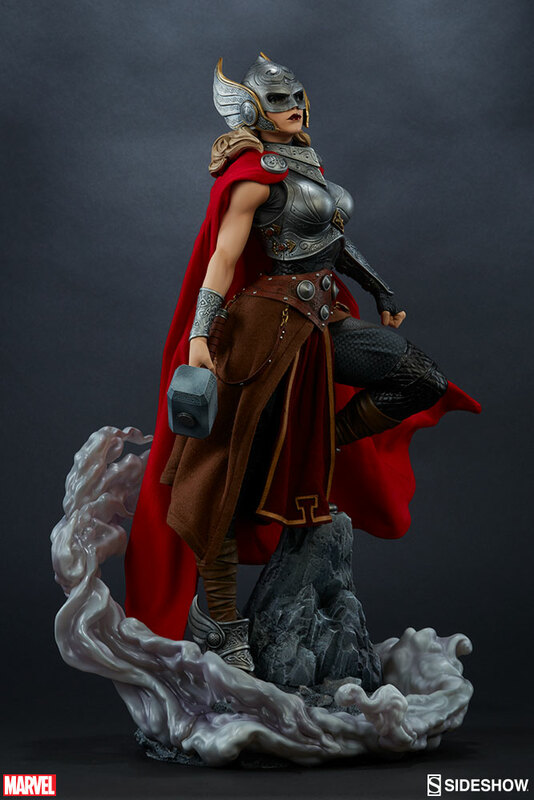 This new Thor: Jane Foster Premium Format™ Figure is an excellent representation of everything our fans have come to expect from our Premium Format™ sculptures. 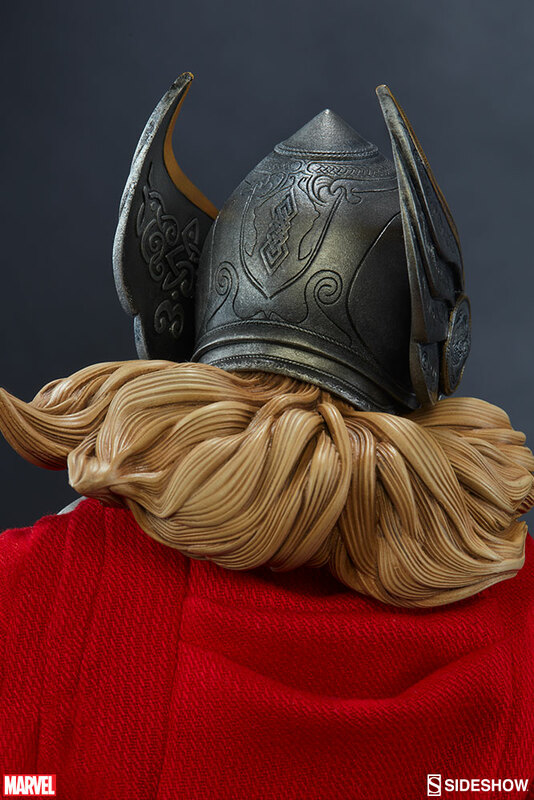 Combining highly detailed sculpts, dynamic composition, beautiful painting, and expertly tailored fabric elements to make museum-quality collectibles that are sure to be the proud centerpiece of any collection. 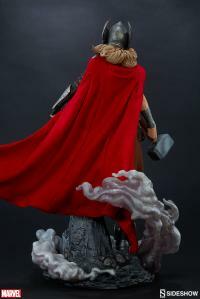 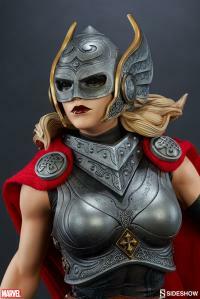 Standing over 20” high, the Goddess of Thunder stands on a mountaintop, resplendent in a winged helm, highly detailed and layered mail armor and lustrous red cape. 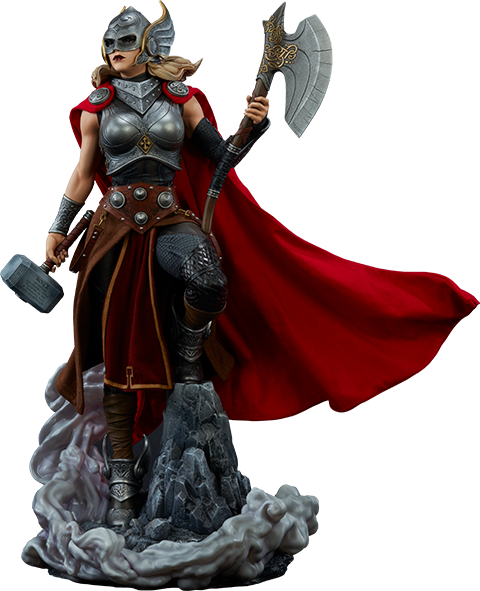 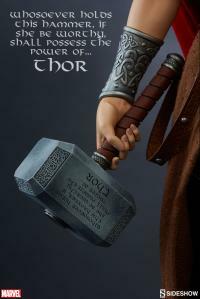 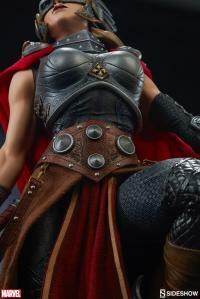 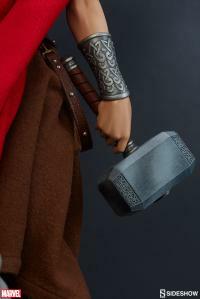 She proudly holds the fabled hammer Mjolnir (with its newly altered inscription) as the clouds swirl around her feet. 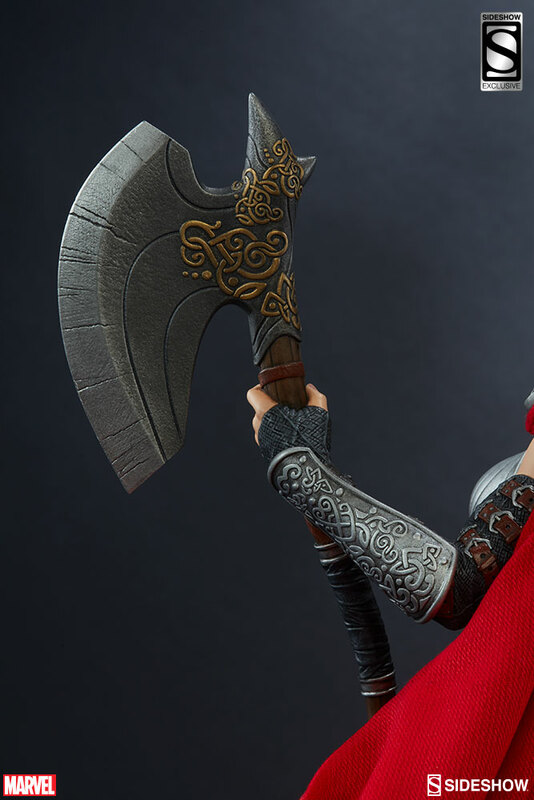 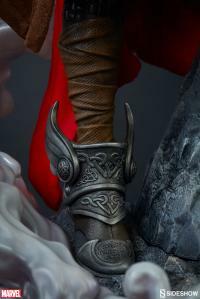 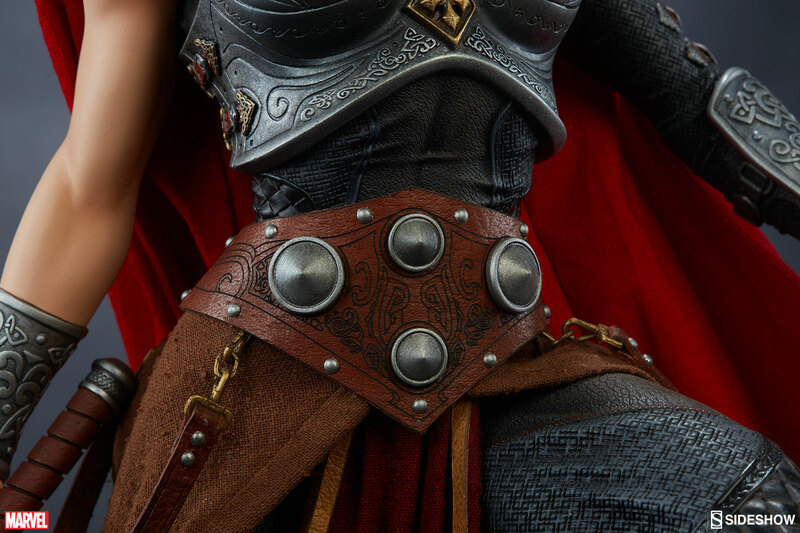 Every minuscule detail – from the contrasting layers of her fabric belts and skirts to the tiny runes on her hammer – has been rendered in astonishing detail. 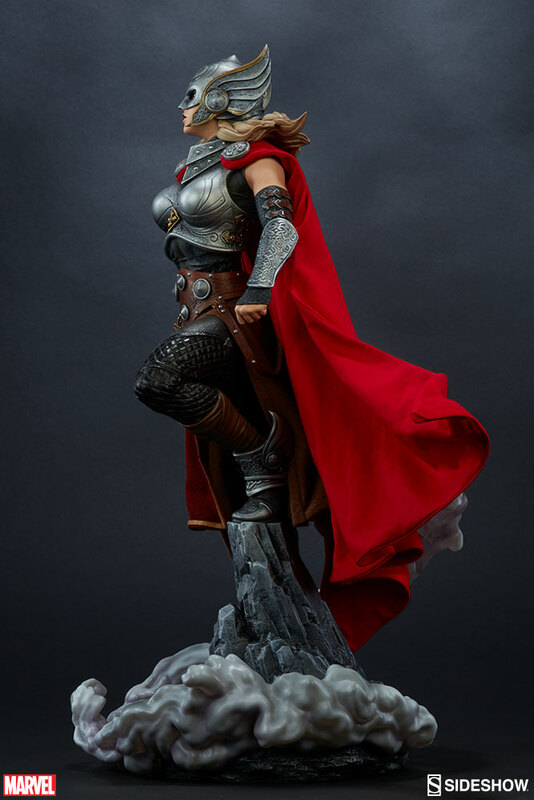 This is a must-have piece for any Marvel fan! 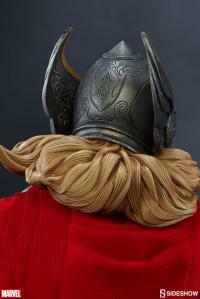 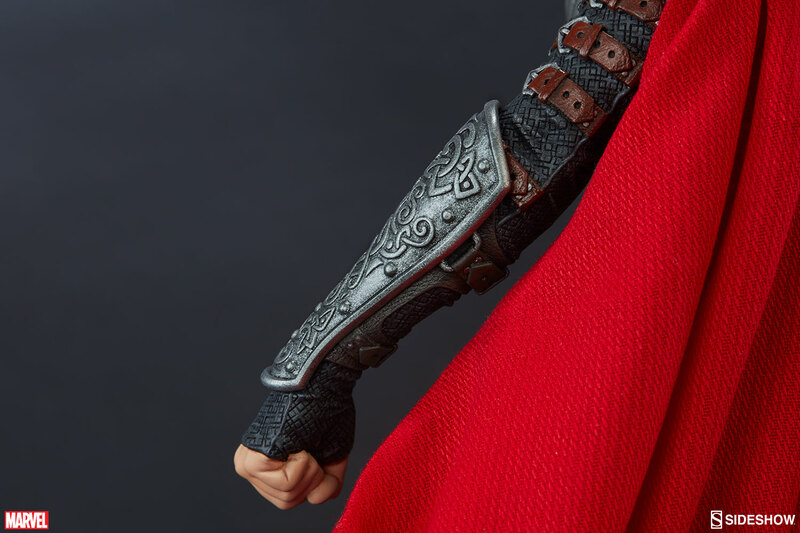 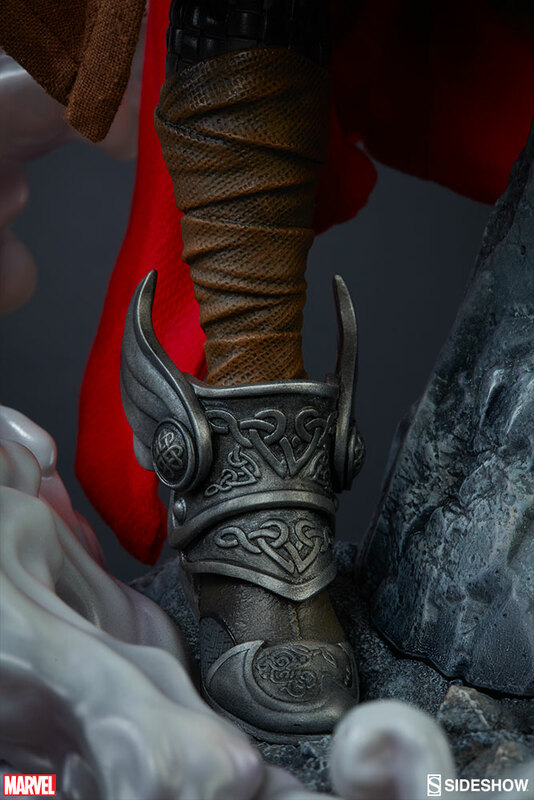 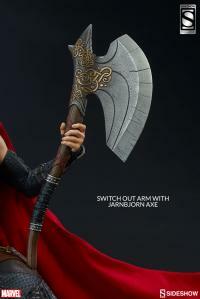 The Sideshow Exclusive variant features an alternative swap-out left arm and hand holding Jarnbjorn, the Dwarven forged Battle Axe of Thor.